UPDATE: Unfortunately, this trip has been CANCELLED due to insufficient interest. A bus trip to Bowman’s Hill Wildflower Preserve in New Hope, PA will be sponsored by the Northeast PA Audubon Society for May 18, 2013. The 134-acre Preserve features more than 800 species of native plants in a naturalistic setting, ready for you to discover. 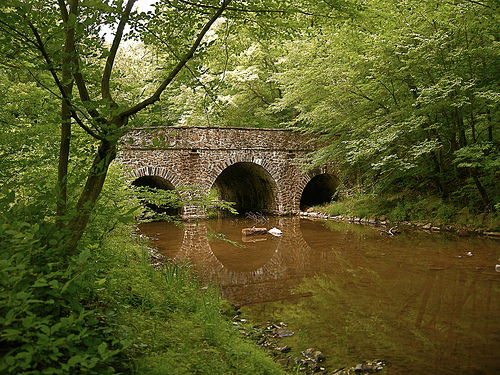 You will be able to explore picturesque woodlands, meadows, a pond and Pidcock Creek set amidst a changing collection of wildflowers, birds and wildlife. 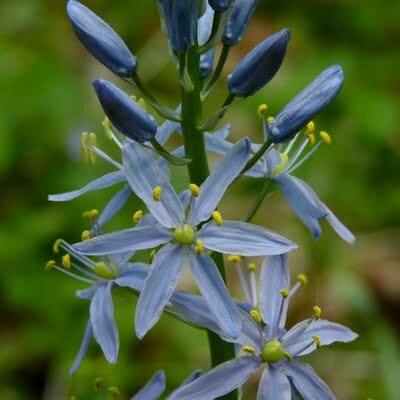 The trip will include entrance to the Preserve, a naturalist-guided tour of the Preserve, entrance to the annual native plant sale, free time at the Preserve and lunch on your own and an afternoon in New Hope. Bring a late-morning snack since you won’t eat lunch until approx. 1:30pm. Cost is $35.00. Reservations and pre-payment are required. The bus will leave from the Route 6 Plaza parking lot near McDonalds at 7:00am and will leave New Hope at 5:30pm, arriving back in Honesdale at approximately 9:30pm (to the same place). Contact Sue at (570) 253-4006 for reservations/further information. 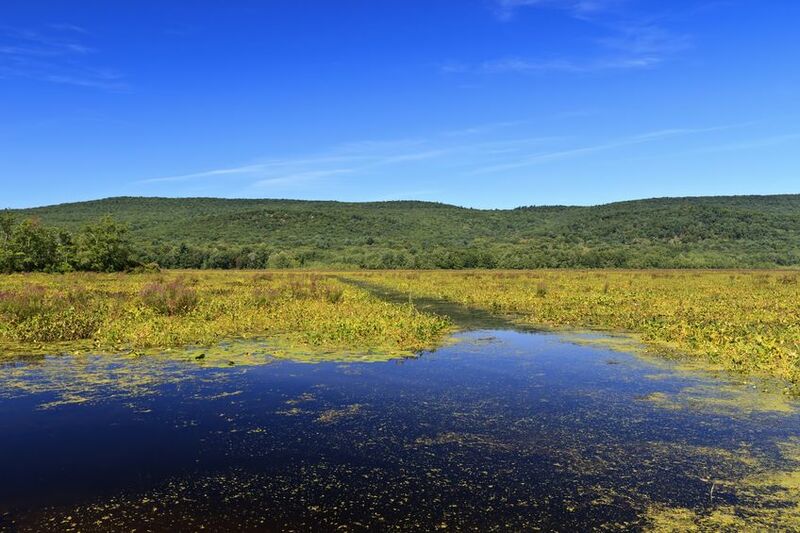 The Basha Kill Wetlands, about a half-hour’s drive above Port Jervis, NY, is a special place of beauty and adventure. The 3,000 acres are home to more than 200 species of birds, 30 varieties of fish including the prehistoric bowfin, and many plants, reptiles, amphibians, mammals and insects. It is the largest freshwater wetland in southeastern New York and is a peaceful place for bird watching, wildlife viewing, wildflower observation, fishing, boating and photography. 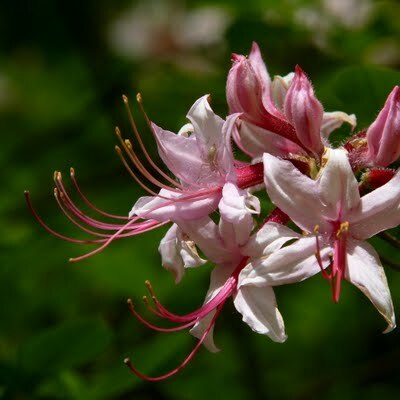 In May many wildflowers are in bloom, including Lily-of-the-Valley, Red Trillium, early Azalea, Lady’s Slippers, White Anemones, Wild Geraniums, and White Dogwood. 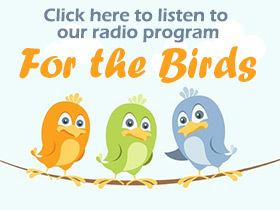 May is also the time for bird migration. You may see Scarlet Tanagers, Ruby-throated Hummingbirds, Gray Catbirds, Baltimore Orioles, over 30 species of warblers, Bald Eagles, herons, and Osprey. Dragonflies and damselflies can be seen, yellow water lilies bloom in the water, little goslings swim behind their parents, American Bitterns call in evening, Wood Ducks are nesting, Yellow Warblers and American Redstarts take spider webs to build their nests. You may hear the whiny call of the peewee and “cher TEA-cher TEA-cher” call of the Ovenbird from the forest floor. The Basha Kill is a magical place in the spring. Join us when we go there on May 4, 2013, for a real treat. The last time we went, we found 5 active nests and many birds. Come see what we discover this time. Call Bob at (570) 676-9969. For more information about the Basha Kill Wetlands, please visit www.thebashakill.org. The State Department recently released a draft environmental review of the Keystone XL pipeline plan, citing little environmental impact. The review is woefully inadequate, ignoring the massive impacts from tar sands operations in Canada that are destroying millions of acres of boreal forest so important to many of our songbirds. The report further finds that building the pipeline will have little impact on climate change—even though the pipeline would increase emissions so much it would be like adding 4.6 million cars to the roads. Now, alarming reports are coming from Arkansas on a pipeline break that is releasing thousands of barrels of this same kind of thick, dirty oil into waterways that feed nearby Lake Conway and the town of Mayflower, AR. Oiled birds and other wildlife in the area are being treated, with many more expected to succumb to the toxic oil. The Arkansas incident is the second spill of Canadian tar sands oil in a week. On March 27, a mile-long Canadian Pacific train hauling Canadian crude derailed in Minnesota, spilling 30,000 gallons about 150 miles northwest of Minneapolis. These two incidents are a stark reminder that transporting this oil across the U.S. is just asking for trouble. Submit your comments now on this draft environmental review. Comments are due April 22. It’s critical that we challenge the weaknesses in this draft with respect to impacts on wildlife, habitat, water quality, and climate change. The Keystone XL pipeline would drive the expansion of tar sands development in Canada, which is turning vital bird habitat in the boreal forests into an industrial wasteland of open-pit mines, smokestacks, and toxic waste ponds. Fortunately, the environmental review is still in draft form. We have an opportunity right now to make sure the harmful effects from tar sands development on birds, habitat, and climate change are included in the final review, before President Obama makes his ultimate decision on whether to allow the Keystone XL pipeline to be built. Comments are due by April 22. Send in your comments today. We need to be sure this environmental review tells the whole story of the Keystone XL pipeline and the great damage it will cause to birds, wildlife and habitat, and our efforts to curb climate change. – via Mike Daulton, Audubon Action Alert! Post comments on our Northeast PA Audubon Facebook page.